Leading Wholesale Trader of synthetic high temperature chain oils from Ahmedabad. 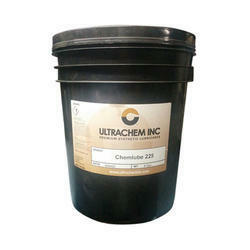 Chemlube Synthetic Chain Oils are designed for a wide variety of chain applications where heat is a major factor. When used in the proper application, they protect against wear. Some contain a unique high temperature organo-molybdenum extreme pressure anti-wear additive that acts to protect the chain under the most adverse conditions. This, combined with the natural detergency of the oil and its affinity or polarity with metal surfaces, combines to keep oven chains clean and lubricated properly. Our technical staff can recommend oils based on your requirements and application methods.